Interesting Marketing Experiment by Blu Dot – ¿¡ tjongolongo ?! Ever wondered who picks up furniture from the street? 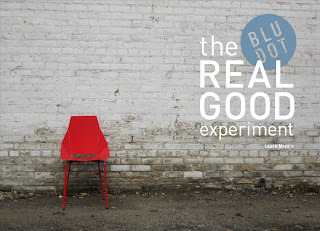 Furniture design company Blu Dot came up with a ‘real good’ experiment to find out. The company left 25 of its ‘Real Good’ Metal chairs around New York City last month. The interesting about this experiment is that GPS chips have been embedded into the chairs so that they can be tracked online and in real time. They even created a Twitter account for the chairs to keep people updated on what’s happening with the chairs. On the account you can read where all the chairs were dropped, who was picking them up and where they were ending up. I think that this is another cool example of how you can use technology (GPS) and the online world of Social Media to market your product. I keep being amazed about the things people come up with to market their product. It just shows that anything is possible! What would you do if you saw a cool chair left on the street?